Two stocky, middle-aged, swarthy gentlemen arrive at the office of Pulitzer Prize–winning author Buzz Bissinger. They are dressed in black track suits with orange Amazon.com logos on the chest. They knock on the door. The first gentleman pushes the door open all the way and walks in. “Nice place you got here,” he says, his tone somewhere between sarcasm and menace. His partner, the bigger, uglier, quieter one steps in and shuts the door, standing in front of it now with his meaty paws clasped in front of his crotch. “I do all right,” says Bissinger. “Listen, can I ask who you guys are?” says Bissinger. “Yeah, that’s right. Or have you forgotten about your partner?” At this point, Mr. Fiero picks up Bissinger’s mug of coffee sitting next to his computer and starts to pour the contents over the keyboard sitting on the desktop. Bissinger doesn’t like the sound of this one bit—and not just because it’s such a horribly hackneyed cliché. “Seriously? You couldn’t remember the name of the most ubiquitous coffee chain on the planet?” says Bissinger. This, of course, never happened—in that Amazon never bothered to warn Buzz Bissinger before dropping the price of his new 12,000-word ebook, After Friday Night Lights, from $2.99 to zero. (They did inform his publisher that it might happen, but it hoped they wouldn’t.) 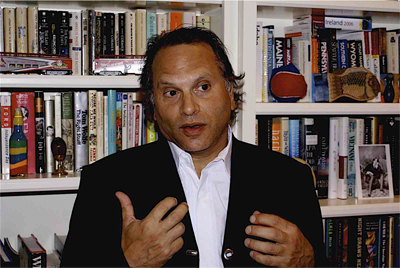 Bissinger, the author of Friday Night Lights, Three Nights in August, and the forthcoming Father’s Day (May 2012), had published the short follow-up to his most popular book with Byliner, a small press founded in 2011 with a focus on in-between-length ebooks—5,000- to 30,000-word works. Amazon dropped the price of AFNL to nothing in response to Apple’s promotion with Starbucks, which gave the ebook away for free with the purchase of a beverage. Byliner was still receiving a cut (a royalty in agency parlance) of each sale, and customers were still required to pay something. (In a promotion like this, one presumes each company was giving up a little—on the price of coffee for Starbucks, and the price of the $2.99 ebook for Apple—in order to goose the circulation of a promising work from a proven author.) I say Amazon dropped the price of Bissinger’s book in response to this promotion, but I suppose you could say they did it in retaliation. Amazon’s free edition of AFNL wasn’t part of any purchase promotion (e.g., buy Friday Night Lights and get AFNL free) and passed along no royalty from the free downloads. Byliner was, as a result, forced to take the ebook down from Amazon’s site. It was that or give away potentially thousands of digital copies for free. According to David Carr’s excellent article in Sunday’s New York Times (April 29), Amazon has a bot that can detect when a book is being offered for free from some other etailer’s site. This bot can kick in to match the other promotion’s price. Except—at least in this case—Amazon’s actions don’t constitute an equivalent promotion, or a promotion at all. I mean, “Buy one TV, get the second for 50% off,” is a promotion—not, “We’re giving away free TVs!” That’s closer to looting. Even stores going out of business don’t just give the stock away for free. For a while I suspected that this was how Amazon was enforcing its don’t-promote-without-us policy, due to our own Bizarro experience with how the bot works. Last November, our small press, Top Five Books, began publishing dressed-up digital versions of public-domain works to be distributed freely under the imprint of Top Five Classics. It is part promotion for our publishing company, part simply wanting to see these works available in editions that included such niceties as proofread text, decent covers, illustrations, proper ebook formatting, introductions, author bios, etc. In other words, nothing that we thought anyone should have to pay for (the books are already free), but delivered in a style more befitting a great work of literature. Apple was perfectly willing to let us give these ebooks away on the iBookstore, and so far we’ve had more than 500,000 downloads of the six titles we’ve managed to produce. When we first tried to offer the same books in Mobipocket format for Kindle on the Amazon store, Amazon wouldn’t let us give them away for nothing. They had to be at least $1.99—$2.99 for the larger ebook files. Okay, I can understand that. What’s in it for them, right? Then, earlier this year, we saw the prices for our illustrated editions of Dracula and then The Adventures of Sherlock Holmes get reduced to $0.00. We weren’t notified in advance (or after the fact, for that matter), we were just checking our account and noticed thousands of downloads under something called “Free Units-Price Match” (no royalties are paid for free price-matched titles, as it points out in the triple-asterisked note). But now, if you look on each title’s product page, it looks like we set the price at $1.99 or $2.99, and Amazon has slashed that price to nothing. Well, that’s a bit irritating, but, okay, that’s what we wanted in the first place, so we can’t complain. And customers are finally starting to download our editions to their Kindles. However, while it’s one thing to refuse to give away books for free and then turn around and do just that unannounced, it’s a whole other thing to give away an author’s work for nothing without notifying the publisher and without paying any royalties. 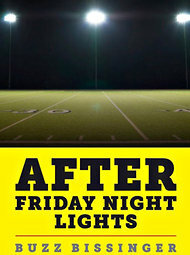 Making it even worse, a third of Bissinger’s royalties from AFNL are going to Boobie Miles, the running back at the center of both Friday Night Lights and the new ebook, who fell on hard times after a serious injury cut short his potential football career. I think most of us in the publishing world—authors, publishers, agents, book lovers—would like to have a good relationship with Amazon, which controls such a large portion of the industry. They’re the No. 1 seller of books and ebooks, produce the No. 1 ereader in the Kindle, and now even publish an array of new and backlist works through its various (six as of May 1) imprints. I think most of us would even like to see them continue to do well, just not…you know, take over the whole thing. But it becomes a bit difficult to root for Amazon when you see it taking an author’s lunch money on the playground, right there in front of the teachers and everything. The Apple/Starbucks promotion was the kind of promotion that everyone can get behind, it’s a win for Starbucks’ coffee shops, for the bookseller (Apple), and the author and publisher. Amazon’s retaliatory “promotion” is a loser for everyone, except readers who can feel good about picking the pockets of an author, a publisher, and even a down-on-his-luck former athtlete. Couldn’t Amazon have approached Caribou? Well, fortunately for Bissinger, whose book had been No. 19 on the Times ebooks bestseller list before Byliner was forced to remove it from Amazon, Apple’s win-win promotion with Starbucks only lasts a week. When will the ebook go back on sale at Amazon for its regular price of $2.99? According to a spokeswoman from Amazon, quoted in Carr’s Times article, that’s up to Byliner, not Amazon: “We expect and hope to be able to sell the single again next week,” she said. It would be a real shame if Byliner did something foolish, like extend its promotion with Apple for another week. We wouldn’t want to see that happen, now would we? Not if we know what’s good for us. This entry was tagged Amazon, Apple, Boobie Miles, Buzz Bissinger, Byliner, David Carr, ebooks, free, Friday Night Lights, New York Times, promotion, Starbucks, Top Five Classics. Yikes, this is a scary state of affairs!